Successfully Added HK Warehouse Ulefone Armor Smartphone - Octa-Core CPU, Android 6.0, IP68, 3GB RAM, Gorilla Glass 3, 13MP Cam (Black) to your Shopping Cart. 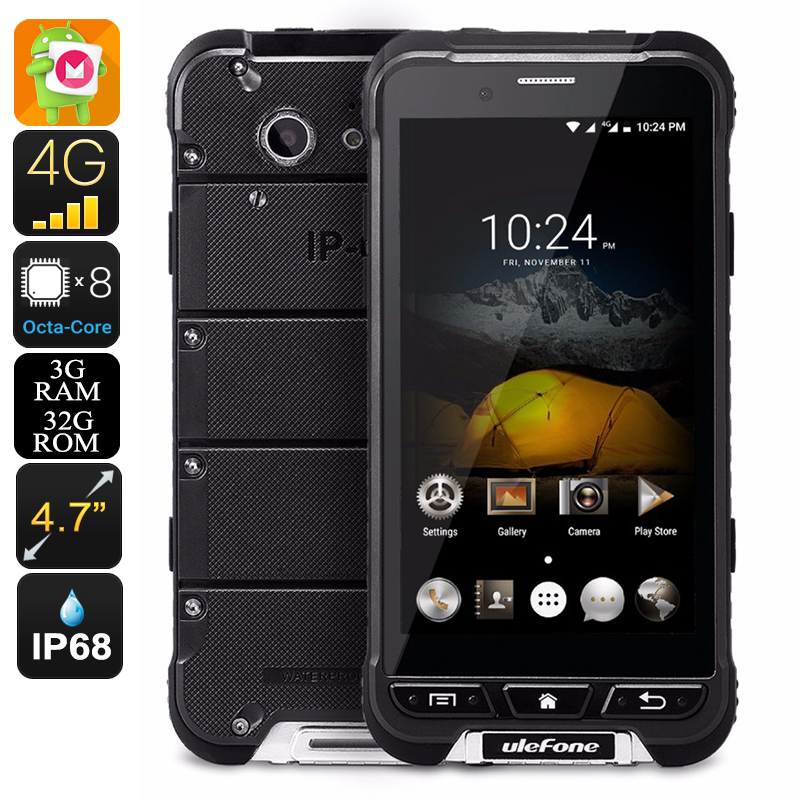 Designed to serve you under the toughest of conditions, the Ulefone Armor is a rugged smartphone that is capable of functioning in any imaginable environment. Thanks to its fully rugged design and Gorilla Glass 3 display this Android phone is well protected against drops and scratches. It furthermore is fully resistant against dust and water, and is capable of working under extreme temperature conditions ranging in-between -40 degree Celsius and +80 degree Celsius – ensuring that no matter where on the globe you’ll be located; this Chinese smartphone will never stop serving you. Designed for outdoor usage, the Ulefone Armor comes along with a whole bunch of sensors, SOS features, and even an e-compass – making it the perfect companion to have at your side during your upcoming outdoor adventures. Equipped with a stunning 13MP rear camera this Dual-SIM smartphone furthermore allows you to snap astonishing pictures of all you encounter while out in the wild. Thanks to the phone’s waterproof design this stunning camera is even capable of snapping ultra-sharp images under water. Along with its professional-grade camera, the Ulefone Armor can guarantee that, from now on, not a single special moment in life will pass by uncaptured. The Ulefone Armor comes with a 12 months warranty, brought to you by the leader in electronic devices as well as wholesale electronic gadgets..